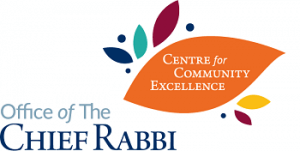 Building on the success of their ShabbatUK last year, Heaton Park aimed to showcase just how enjoyable Shabbat can be with a full Shabbat day programme running from Shacharit through to Havdalah. Popular touring group ‘The Travelling Chassidim’ really enhanced the ruach and spiritual nature of the service by lending their voices to the davening, later performing at the communal lunch, for which a marquee had been hired to accommodate demand. A roster of high-profile speakers was led by Joe Flacks of AJEX, who had been invited to talk over Heaton Park’s AJEX Shabbat, and also included Yair Marom, an Israeli minister for Culture. The warm and hospitable environment created attracted both regular attendees and the less affiliated, as well as a cross-section of the community. We had a beautiful traditional Friday night dinner. It was so great to see so many faces, and to see such a wide age range attend, from as young as 3 all the way to 88 years old was incredibly special. In addition, we feel we really captured the spirit of ShabbatUK by attracted people who do not usually come to shul, including non members! The event brought together both regular attendees and non regular attendees of the Shul – in a warm, welcoming and relaxed atmosphere. We were so lucky to have Rabbi YY Rubenstein who spoke fantastically. He was very humorous yet engaging and intellectually stimulating presenting food for thought on some fascinating spiritual ideas. There were positive comments about Rabbi YY Rubenstein speaking at the event.